I love playing with color in my photographs. 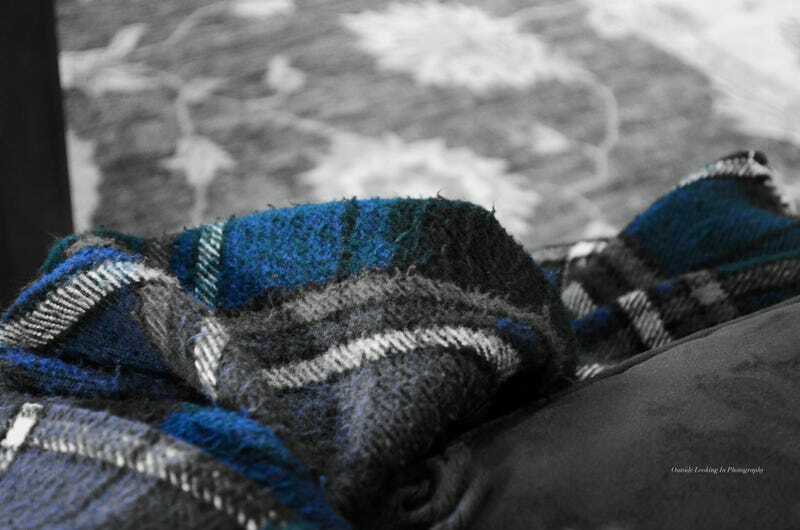 This was shot with my Nikon D5100, and I really wanted to emphasize the beautiful greens and blues in the blanket. I just loved the contrast between that and the couch/carpet underneath! So, friends, do y'all have favorite colors? Are you drawn to things with color or without color? While I'm working primarily in digital now, I've had quite a bit of experience with black and white printing in the dark room, as well as an older technique called platinum printing - that gives your prints a really interesting sepia-toned look. Perhaps someday I'll post something about that, should anyone be interested! Now, tell me all your thoughts!